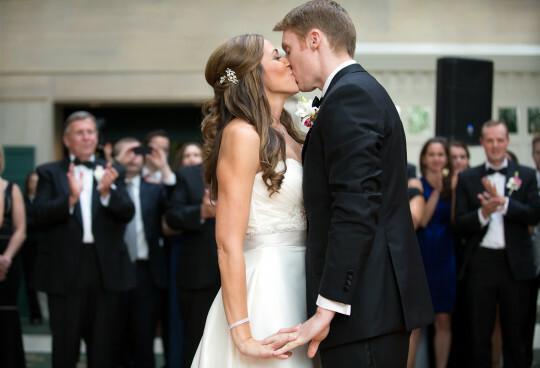 When Laurie started planning her wedding, she wanted it smack dab in our beautiful city of Boston. And she got her wish! With the Westin Copley as our home, we are able to sneak over to the Public Garden and the Boston Public Library for photos. It couldn’t have been a more lovely day for it. 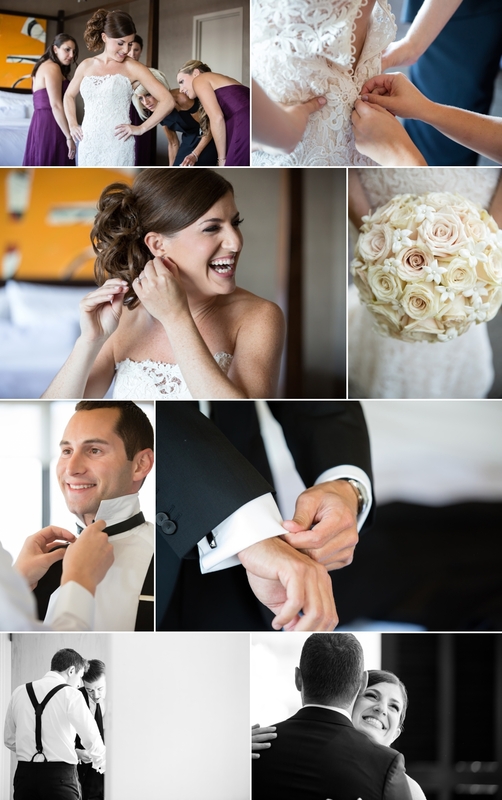 Both Laurie and Josh got ready at the Westin, so I was able to pop into both rooms while they were preparing for the big day. I loved watching Josh (to be more accurate, one of Josh’s groomsmen) tying a real bow tie. 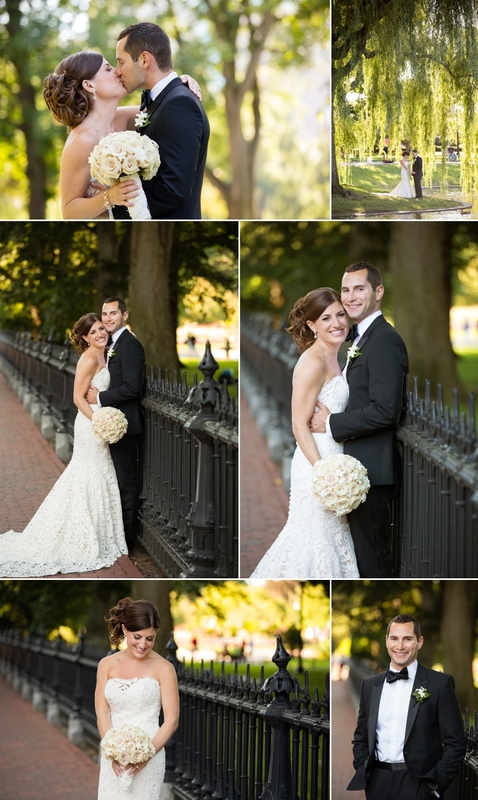 After an intimate and lovely first look we were driven to the Public Garden for wedding party and bridal portraits. Then, it was back to the hotel in time for their Ketubah signing. The ceremony was held in the ballroom with the gorgeous city view as their backdrop. 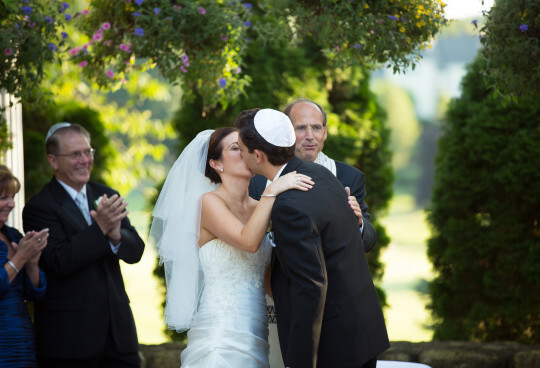 The chuppah was adorned in beautiful muted pink and white flowers. When guests returned to the ballroom after the cocktail hour, the room was totally transformed with the city view twinkling and pink up-lighting filling the ballroom. What a transformation! The only thing more brilliant and vibrant was Laurie’s smile. I swear, that gorgeous smile never left her face all evening! Wedding Wire’s Bride’s Choice Award!